Musicians who fuse elements of rock, traditional, pop, and punk! The mix of styles mastered by the musicians Alexandre Richard (voice, acoustic guitar, bouzouki), Alain Barriault (electric and acoustic guitar, voice), Ben Claveau (voice and bass guitar), Marc Angers (fiddle and voice), Éric Gousy (drums and voice), Éric Tanguay (accordeon, electric guitar and voice) and Luc Bourgeois (bagpipe, irish whistle, electric guitar and voice) results in a truly unique sound! Rocking stages of all sizes since its inception in 2011, the band continues to conquer crowds everywhere ! 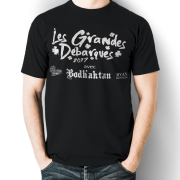 With an attitude of « take no prisoners » this band has confidently taken the stage in the company of bands such as La Bottine Souriante, Les Trois Accords, Eric Lapointe, and Les Cowboys Fringants. Seven musicians lined up on the front of the stage, making war on the mundane! Music, beards, sweat and fun – energy at top speed! Bodh’aktan’s first ablum, « Au Diable les Remords » put the band in the eye of the storm…this is a band which knows how to have fun, but also knows how to work hard…After more than 200 shows in three years, Bodh’aktan is just getting going! Armed with little more than their kilts and their beards, the boys have seen every corner of Quebec. They have brought their show, their love of music, and their infectious party atmosphere to Las Vegas, France, Germany, Italia, Belgium and USA…. 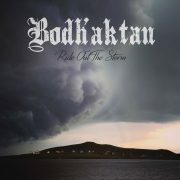 Towards the end of 2013, Bodh’aktan released its second album, “Tant Qu’il Restera du Rhum.” Just like its predecessor, this album was also nominated for Rock Album of the Year at the 2014 ADISQ gala awards. It was co-produced by Fred St-Gelais (Marie-Mai, Juno-nominated producer), features Alan Doyle (Great Big Sea) as a co-writer on Dansez (Dance Hey), and showcases the talents of Yves Lambert on the song Trash Tombola. The popular singer of the Matmatah, Tristan Nihouarn, also lends his voice to the song Lambe an Dro. « This new album is a work of irreproachable efficiency and overall, enthousiasm. All albums are available in Europe, distributed by Coop Breizh France and Deaf Shepherd Recording the side of Germany. Performances and attendances continue to add around by propagating energy, good humor and good times !!! 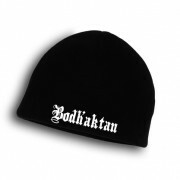 Bodh’aktan, muscular Trash Tombola who disembark at home sooner or later! 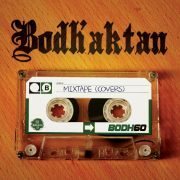 Bodh’aktan : an experience not to be missed – coming at you sooner or later!